This project needed a cosmetic upgrade rather than altering the space itself. We left the tub and tile surround, but replaced a vinyl floor with two-tone stone in an elegant pattern. 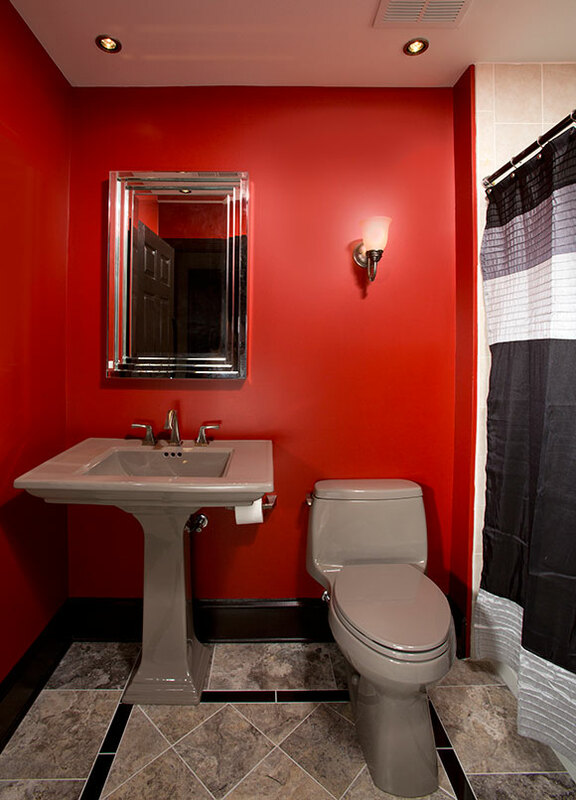 We upgraded a white builder-grade vanity and cultured marble top with a beautiful pedestal and matching toilet, added a sconce, a stunning mirror and a vibrant wall color. The result was a “new” bathroom that made perfect use of the existing space.